Pistachios are one of the more popular types of nuts. There are a number of things that make many people like these nuts, among them are low in calories, rich in antioxidants, minerals, phytosterols, unsaturated fats, vitamins, fiber, carotenoids, and delicious taste. This information about pistachios certainly makes you even more like tasting pistachio nuts, if all this hasn’t stirred you up, I’m not really what you’re looking for from healthy food. Pistachio nut trees have many types, these are around 11 species spread throughout the world. Only species that until now have been cultivated for commercial use. Speaking of the origin of pistachio nut trees, it is not clear where this tree first grew. But there are allegations that this tree originated in Central Asia. Pistachios nut cultivation on a large scale for commercial purposes occurs in Central Asian countries such as Turkey, Afghanistan, Iran, Syria, Italy, and in other arid climates. 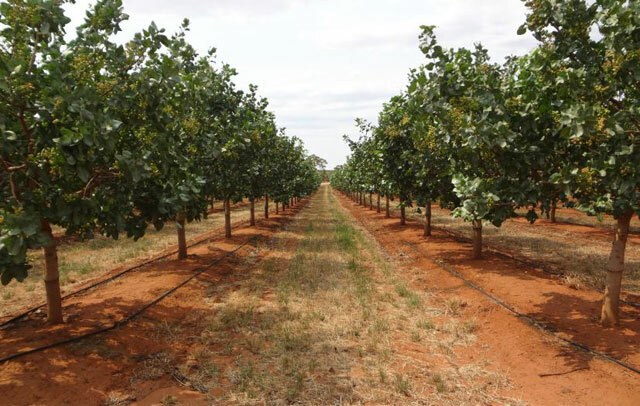 In this article, we will look at ways to cultivate or grow pistachio nut trees. The most important thing to note is the temperature, this plant can only grow well at temperatures above 100 F. (38 C.) every day. However, Pistachios is also in winter, because he will complete his dorm that winter. This winter must range between 45 F (7 C) or lower. Pistachios cannot grow normally if they are in the highlands because they are always facing cold. It’s about the temperature which is good for planting pistachio trees. In addition to temperature requirements, pistachios also need sandy loam soils. The soil conditions are dry and not too wet. High humidity is also a problem for the growth of pistachio trees, so plant it on dry, sandy soil and not in the highlands. 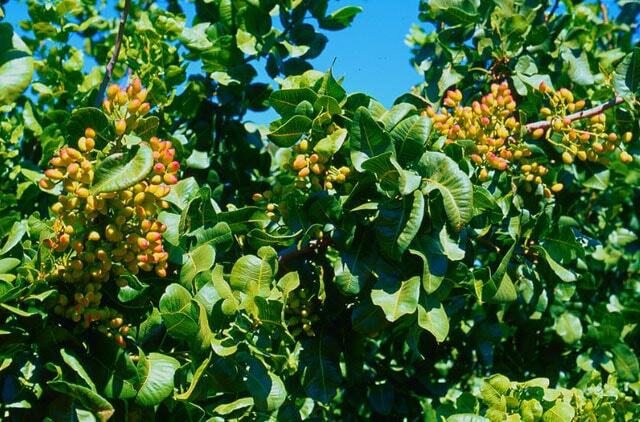 Pistachio nut trees are large plants with roots penetrating deep into the soil and grow to a height of 30 feet. Before planting in open land, you can plant it in containers first for 1 to 5 years. Next, transfer the plants to the garden, when they have been transplanted into the garden, Pistachios must be planted at a distance of 20 feet. This is a dioecious tree; but for good results, we must plant both types of pistachios, both male and female species. Pollination process occurs in early April to mid. Pollination occurs with the spread of pollen. Because pollination with pollen, strong winds can have a bad effect because it interferes with the process of spreading pollen so that the plants cannot bear fruitfully. This is a fruiting tree, to get high-quality produce, this plant must be pruned regularly. In addition to the quality of the fruit, the pruning process is also important to control health and growth. In young trees, choose three branches or 5 branches as the main branches that are maintained to produce fruit, do pruning in April. Select a branch that has the same distance as the stem. Branches that are not pruned should be 24 to 30 cm high from the ground. Then, all the other branches underneath are cut. Next, all the upper branches that shade the stem are cut, in June, prune the 3-foot long scaffold to stimulate the appearance of the side branches. Pruning Pistachio trees can be done 2 or 3 times a year.